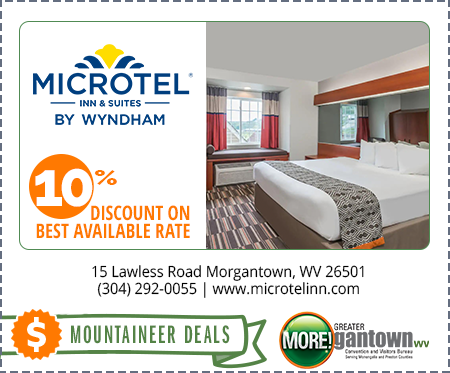 Welcome to the pet-friendly Microtel Inn & Suites by Wyndham Morgantown hotel, near Caperton Trail and conveniently located off Interstate 79 in Morgantown, West Virginia. Start your morning right with free deluxe continental breakfast, then check email from the comfort of your room with our free high-speed Internet access. Join us to enjoy some fresh cookies and hot soup served nightly. 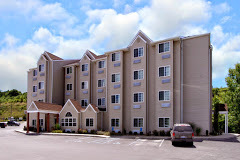 Suites that include microwaves and refrigerators as well as non-smoking and handicapped-accessible rooms are available at our Morgantown, WV, hotel. Pet friendly.